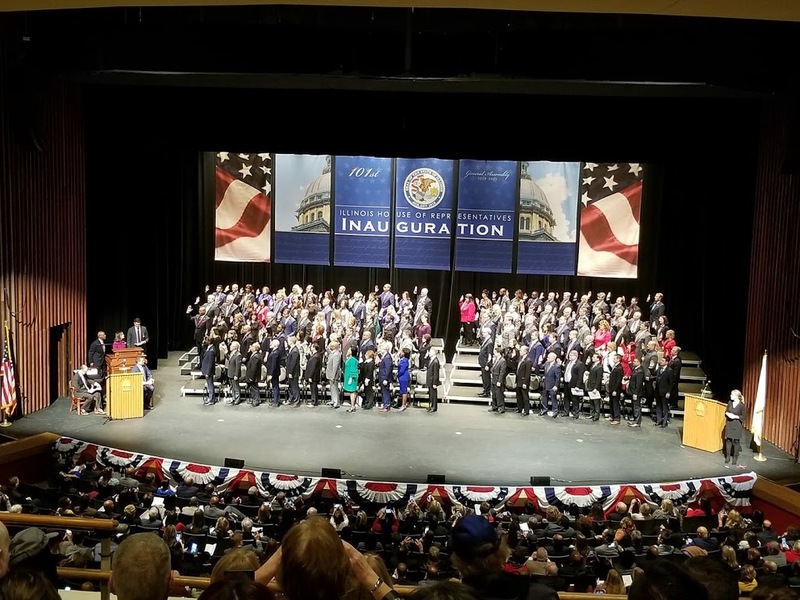 State Representative David Allen Welter, R-Morris, was sworn in for his second full term on Wednesday, joining all 118 members of the Illinois House of Representatives for the inauguration of the 101st General Assembly held at the Sangamon Auditorium. Welter has represented Illinois’ 75th District since July 2016 serving portions of Grundy, Kendall, LaSalle and Will Counties. Prior to his appointment to the Illinois General Assembly, Welter served as Chairman of the Grundy County Board, to which he was first elected in 2010. His private sector experience includes work as the Human Resources & Procurement Manager for a local trucking and construction equipment company. Welter is also currently a licensed real estate agent practicing in Morris. epresentative Welter’s committee assignments for the 2019-2020 legislative session will be announced in the coming weeks. For questions or more information, please visit www.repwelter.com.